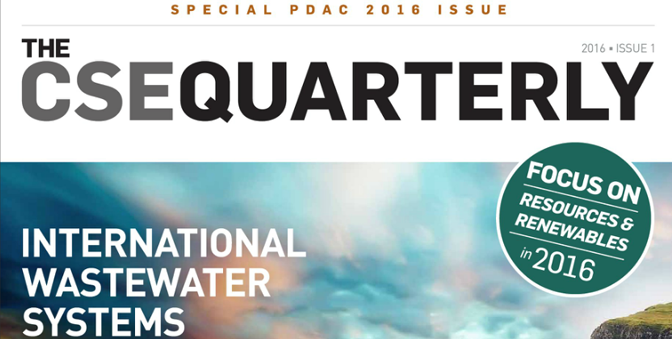 The CSE is proud to present the latest edition of the CSE Quarterly just in time for the PDAC 2016. 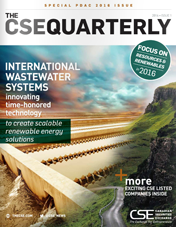 This edition of the CSE Quarterly focuses on companies active in the resources and renewables spaces. The entrepreneurial firms listed in this edition showcase the diversity of opportunities that the CSE listed companies are pursuing and are great example of why the CSE is the Exchange for Entrepreneurs. Thanks again to our advertisers Davidson & Company LLP, Global Uptick Publishing, Synergy Management Consulting and Equities.com.